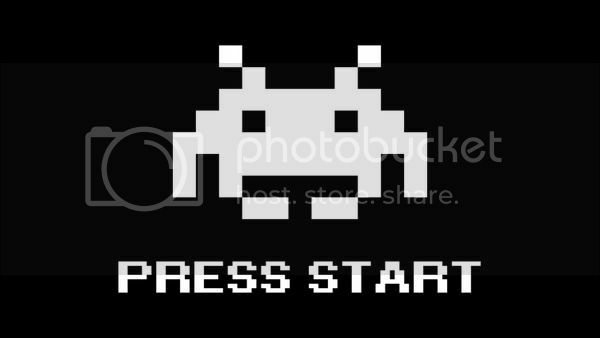 By the turn of the millennium, hundreds of FPS computer games littered the market. Most of them were DOOM-clones, with plenty of blood and gore to go around. 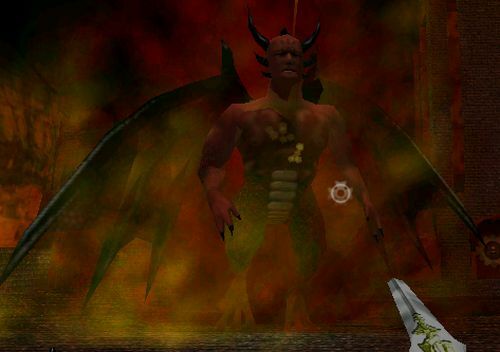 Enter Ominous Horizons, an FPS game released by N'Lighting Software in 2001. 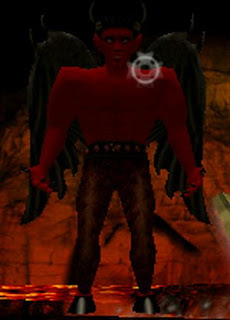 The game was billed as a less-violent FPS suitable for Christian gamers at the time. But don't let that fool you...Ominous Horizons features plenty of action and 10 hours of story-driven content to make it worth your while. The quest, which has you in search of pages from the only Bible in existence, felt like something out of Assassin's Creed...the religious-aspect of the game felt more historical more than anything, and added an interesting element to the game mechanics. You begin in a small town where you can interact with the town's residents. On the edge of town lies the Church, and after talking to the Priest (who bestows you with your Sword) you are called upon to head down into the basement of the Church and enter the first of eight portals that will lead you to other various worlds, where you'll be adventuring everywhere from Egypt, a Scottish Castle, Japanese Fortresses, Mayan Temples, a Haunted House and even Hell itself. While in these environments you will encounter various monsters to defeat, and finding bible pages refill your health as well as offer faithful words of encouragement. Each level has a piece of armor to find that will improve your Paladin's defense, as well as a hidden Angel that when found will make your sword much more powerful. Some of the levels can prove quite difficult. For instance, in the Japanese Fortress level an onslaught of evil ninjas will come at you while you seek exit in a tough maze. And the Egyptian level is especially tough as well, with enemies teleporting around and statues that come at you when you're not looking...and invulnerable as well. The enemies provide a nice challenge and in many cases you will be thankful to find the bible piece and jump into the portal to exit out of the level quickly. Even though the Sword is the main weapon, you don't actually slice enemies with it. Instead, you shoot bolts of holy power at them FPS-style, providing a decent challenge. Among the sword, you also get a crossbow with multiple kinds of bolts, such as fire and ice, and a Staff that has three different powers as well. Using the right weapon for a certain scenario is critical to beating the game. Helping certain NPC's found within certain levels will also earn you powerful crosses which will help you on your journey. The level designs are ok for the most part. The environments are well-rendered and fun to look at. Some of them can be confusing, and you may get lost from time to time. 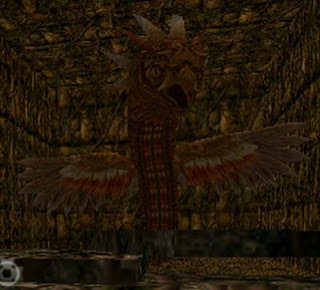 There are puzzles scattered throughout the game, the toughest being the sliding puzzle in the Mayan Temple level. There are plenty of secret areas and extra content to explore. The Thunderbird can be tough as he flies fast and can swoop down and hit you with a tornado-blast. Five holy bolts should help do the trick in defeating this guy. Grendel is the toughest boss in the game. He comes at you pretty fast and the chunks of ceiling falling on you won't help either. It may take a quite a few tries, but the key to killing Grendel is to notch up some ice bolts and first slow him down. 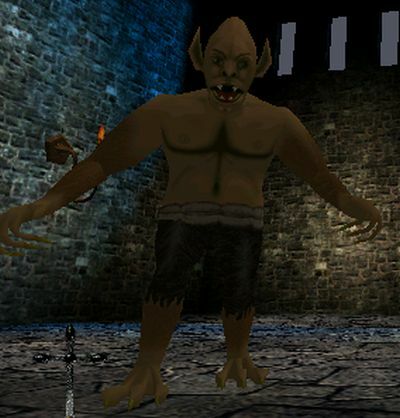 Once he is slowed, notch up the fire bolts and shoot as many of them into Grendel as you can. Once the the ice bolts wear off rinse and repeat, and make sure to keep moving to avoid the falling rocks and Grendel's earthquake attack. The key to defeating the Winged Serpent is to avoid the poisonous fumes rising from the grates in his lair while dodging his breath attacks. He should fall quickly if you use the Staff bombs. The Greater Druid can provide quite the challenge. You'll be trapped within Stonehenge while you fight him, so use the area to your advantage by using the stones for cover. He will keep coming after you so don't stay in one place for long. Slow him down with holy bolts and launch everything in your arsenal at him. His hell-breath will drain your hit points very fast, so make sure to avoid contact with it. He can also summon lesser druids to attack you, so make sure to keep those at bay with your Staff bombs. Once the Greater Druid is down head for the portal quick, as there may be lesser druids still alive that will try to ninja the bible piece. Satan appears in two forms. 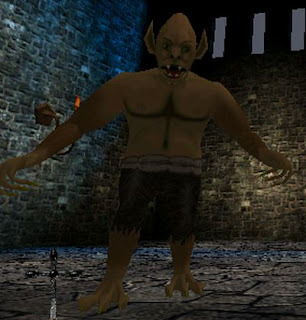 At the beginning of the level he will come at you from the depths of lava and will attack you with hellfire and by flying at you. Just keep moving and shooting and he is easy to take down in his first form. 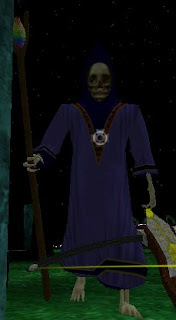 His second form is more of a challenge, and he will greet you in this form at the end of the level as the final boss. He will fly around and throw hellbombs at you this time, so make sure to avoid those as they drop your health very fast. Luckily there are 3 or 4 bible pages to pickup to refill your health with, so just keep moving and shooting like you did the first form and you shouldn't have a problem. Use everything in your arsenal and eventually Satan will fall. Once the final boss is defeated, you'll need to run like hell (pun intended) to the tower before a fast rising ooze of lava catches up to you. At the top of the tower is the final bible piece and the portal back to the Church. Turning in the bible to the Priest ends the game, but you can talk to the town residents first if you wish and they will cheer your victory. 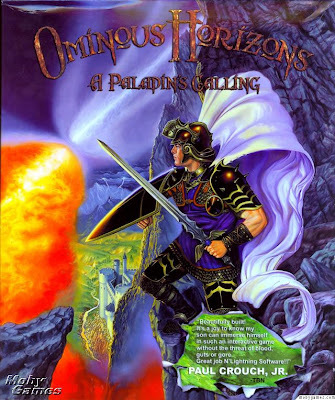 Ominous Horizons might have gotten lost in the shuffle of hundreds of other FPS games, as well for it's "religious" labels...but those looking for a decent classic FPS romp should check it out. It's not a review. It's a guide. Article should be rewritten. Besides, you forgot to mention that the game crashes hundreds of times. Locations look empty. Game's budget was like 1,6 million dollars. Gothic was released the same year and looked far more better than that.